LOS ANGELES – The American Civil Liberties Union of Southern California is calling for the resignation of Los Angeles County Sheriff Lee Baca, following the release of its annual Jails Report. The 32-page report claims gangs comprised of deputies fuel violence against inmates, and claims Baca has covered up and ignored claims of the brutality. In a new release issued Wednesday, the ACLU said it had received several thousand complaints from prisoners in the L.A. County Jail system in the past year, hundreds of them about deputy-on-inmate abuse. The ACLU said the complaints revealed that groups of deputies often attacked non-resisting inmates; and in other cases, deputies enlisted other inmates to carry out their orders of abuse. In one instance, inmates sexually assaulted another inmate with a broomstick, while on another occasion others raped an inmate while holding his head in a flushing toilet; all with the apparent cooperation of the Los Angeles Sheriff’s Department employees, according to the ACLU. According to the report, former inmate Gordon Grbavac received a severe beating from deputies that sent him to the jail’s clinic. “One deputy grabbed me on my left side and the other deputy grabbed me on my right side, as if I was a battering ram,” he said. “They repeatedly slammed my head and cheek into the window partition that separates the attorneys from the inmates.” After the beating, Grbavac saw his own blood splattered on the window partition and even in the next cubicle, the ACLU said. The ACLU says Thomas Parker, a former FBI agent and assistant special agent in charge of the Bureau’s Los Angeles office, reviewed declarations submitted by inmates, civilians and chaplains, as well as conducted in-person interviews. 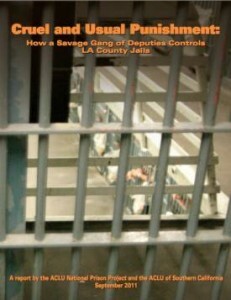 “Gang-like groups of deputies have been operating in the Los Angeles Sheriff’s Department at least since the 1980s, and perhaps since the early 1970s, and these deputy gangs continue to operate today seemingly with impunity, right under the eyes of all levels of the current management of the LASD,” Parker continued. The ACLU claims Los Angeles County Jails have now become one of the most dangerous jails or prison systems in the country. In a news conference Wednesday, Baca reportedly said the ACLU report does not tell the whole story at the County Jail. 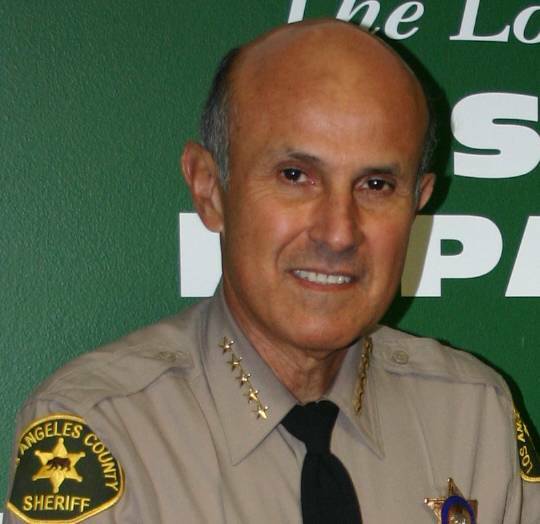 Baca told the Los Angeles Times he prides himself on operating an open and transparent jail system. The Los Angeles Times reports the FBI has initiated an investigation into the reports. The Los Angeles County Sheriff’s Department is the focus of another federal investigation, this one in the Antelope Valley. Last month, the U.S. Justice Department launched an investigation into alleged discriminatory policing by the LA County Sheriff’s Departments in Palmdale and Lancaster. View the ACLU Jails Report 2011 here. Below is a video created by the ACLU regarding alleged abuse in the LA County Jails.